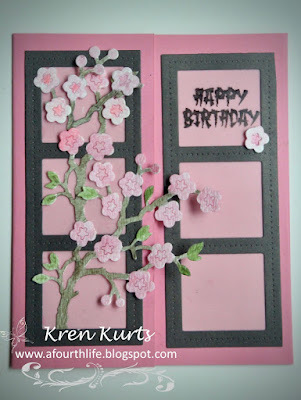 It's Kren here sharing another project using Cheapo Dies. 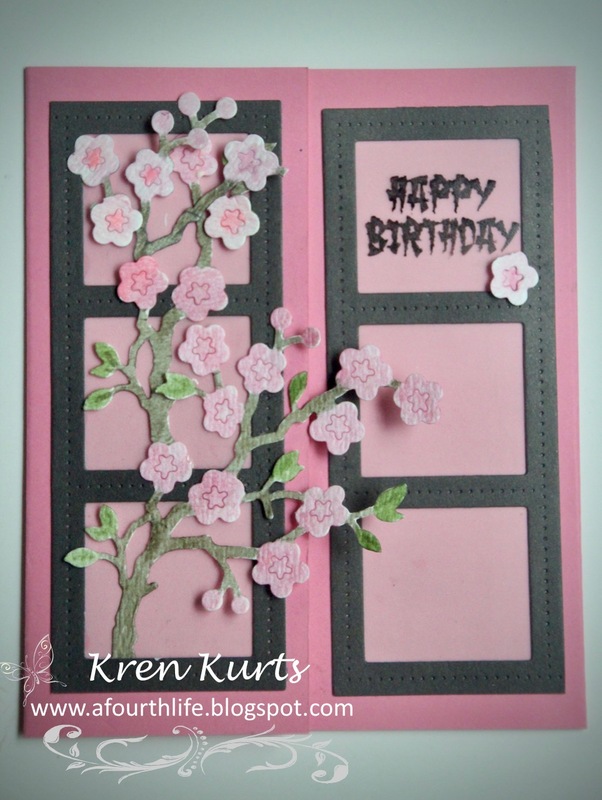 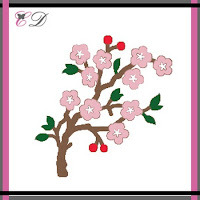 Today I am using Blooming Cherry Blossom. 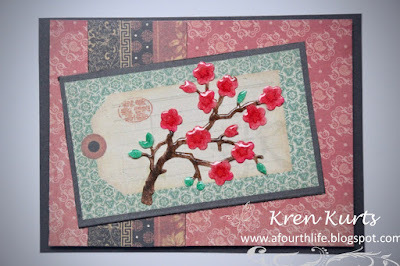 Add several layers of embossing powder to make a die cut "pop." 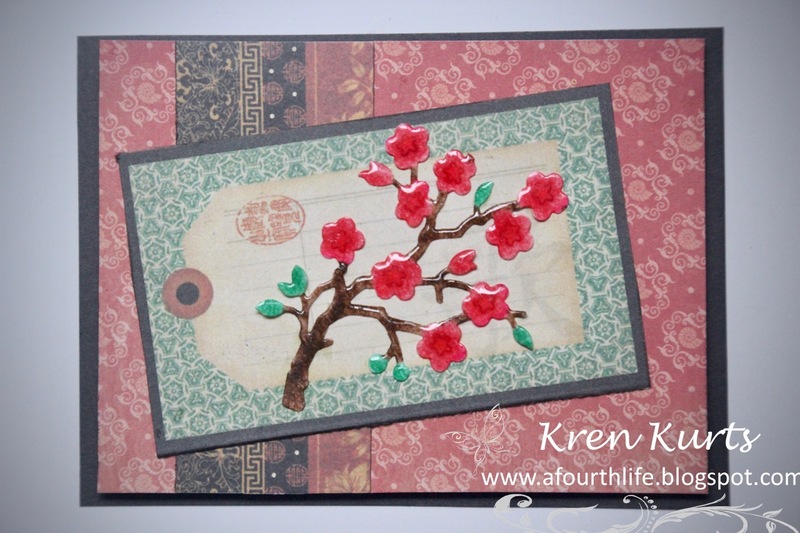 Create an oriental screen by placing vellum into die "windows."